With the NFL Draft coming Thursday, I thought it would be good to take a retrospective look at how the Dallas Cowboys have done in the NFL Draft during the Jason Garrett era. Garrett certainly isn't the sole decision maker when it comes to the draft, but he has a big say in who the team selects over draft weekend. I'll admit off the top that determining whether they hit on a prospect is a very difficult and subjective thing to do, but I'm going to try anyway. The way I would define whether a player was a hit would be to define if that player had an impact relative to their draft position. 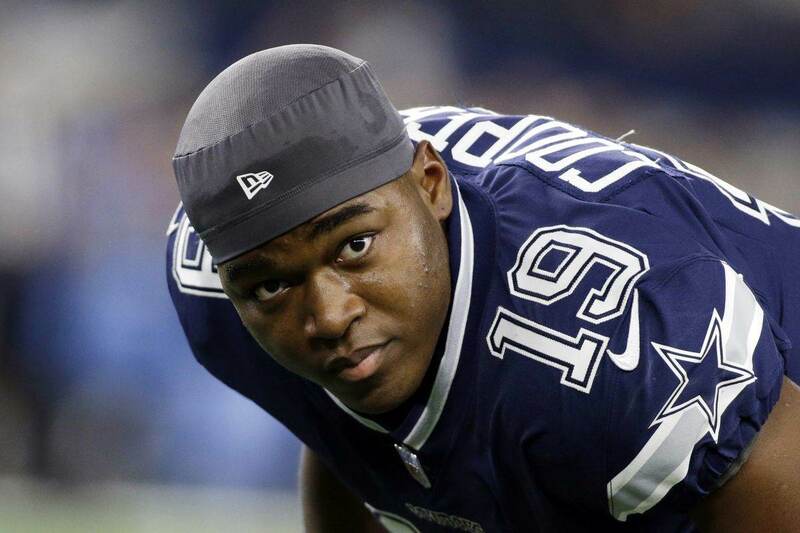 If we look to before the Jason Garrett era, at a player like DeMarcus Ware, it's obvious that he was a hit. He's a future Hall of Famer. Marcus Spears, taken a few picks after Ware, I'd argue was a miss. He was a good player for Dallas as a 3-4 defensive end, but never produced like you hoped a player taken with the 20th overall pick would, recording only 10 sacks in his 124 game career. Chris Canty and Jay Ratliff, taken in the same 2005 draft, I'd consider hits as they were selected in the 4th and 7th rounds respectively. Ratliff in particular was a tremendous nose tackle for the Dallas Cowboys before moving on to play for the Washington Redskins. We'll start with the 2011 draft, since that was the first season of Jason Garrett's head coaching tenure. The 2011 draft marked the first time under the Jerry Jones regime that the Dallas Cowboys spent a first round pick on an offensive lineman, drafting Tyron Smith ninth overall out of the University of Southern California. Tyron Smith has long been regarded as one of the best left tackles in the NFL and has Pro Bowl and All-Pro selections to prove it. If the end of 2017 is any indication, Tyron Smith could be the most valuable player on the Dallas Cowboys. Smith stepped in right away at RT his rookie year before taking over at LT his second year and has been dominant ever since. DeMarco Murray, to me was a hit, though his time with the team was short-lived. Anytime you can turn a third round pick into the league's leading rusher, I'd say he made a contribution relative to his draft status. Murray averaged 4.8 yards per carry during his time with the Cowboys. His rookie season he ran for almost 900 yards on 164 carries and had 1,000 total yards on only 180 touches. His second season, he only played 10 games and his production dropped. In 2013 he had his first thousand-yard season before leading the league in 2014. Even though the Cowboys declined to offer him a second contract, there's no doubt that he contributed far beyond what you would hope for a third round pick. The other hit of the 2011 draft was WR/KR Dwayne Harris. He never really had much of a role on the offense, but his return ability in addition to his play on the coverage teams was valuable. He had two punt returns for touchdowns in his time with the Cowboys and in 2013 and 2014, had more than 1,100 all-purpose yards. The major let down from this draft was the Bruce Carter selection. There was always a lot of hope for Carter in the Monte Kiffin/Rod Marinelli defense, but he never quite fit. They tried him at WILL, now manned by Sean Lee, thinking his athleticism and ball skills would make him a natural fit, but his performance was generally underwhelming. In 2012, the Dallas Cowboys used their second rounder to move up to number six overall to select cornerback Morris Claiborne out of LSU. At the time they told us there hadn't been a corner in the draft as good as Claiborne since Deion Sanders. Can we stop comparing draftees to Hall of Famers, please? Pretty much everything that ensued in Claiborne's career with the Dallas Cowboys was a let down. Claiborne couldn't stay healthy enough to be on the field and eventually lost his job to 2008 fifth-round pick Orlando Scandrick. When he played, he was a good player, but he was never on the field consistently enough or good enough when he was on the field to justify being taken sixth overall. The three players I'd argue they hit on in this draft are Tyrone Crawford, Kyle Wilber, and James Hanna. You're going to tell me that Tyrone Crawford is a bad player, and I'm going to argue that he isn't a bad player, he just has a bad contract. Crawford has been a steady player who has moved all over the defensive line and constantly played in roles that didn't necessarily fit him the best. He's been a stand-up teammate and has been productive for this team. Playing out of position as the right defensive end last season, Crawford had four sacks for the Cowboys. That's not nothing. Over the last four years, he's averaged four sacks a season. Again, not spectacular, but steady. He was the team's third round pick in 2012, and though he didn't start a game in 2012 and didn't play in 2013, the last four years have been good, even if they haven't matched his contract. Kyle Wilber, the team's fourth round pick in 2012, wasn't a diamond in the rough, but like Crawford was a steady and solid player for the team, especially on special teams. On the team's coverage units, he became one of the better special teams players in the league while also providing some nice situational pass rush and was good depth at linebacker. James Hanna, who just retired because of a knee that wasn't getting better, was a sixth round pick and as Jason Witten's backup for much of his career was a dependable player. The team began to rely upon his blocking ability when they would go with multiple tight end sets. Though he only caught one touchdown in his career, he did catch 37 passes in his 78 game career. When you're a backup to a future Hall of Famer who never comes off the field, a reception every other game from a sixth round pick is a contribution. Because of the failure of Morris Claiborne and because they had to use a second round pick to move up and get him, this draft has to be categorized as a failure, despite the solid contributions from Crawford, Wilber, and Hanna. Proclaimed a reach on draft day by analysts around the NFL world, the Dallas Cowboys smartly traded back in the 2013 NFL Draft, picked up a 3rd round pick and selected Travis Frederick out of Wisconsin. He has been everything the Dallas Cowboys have hoped for and more, like Tyron, racking up Pro Bowl appearances and All-Pro selections. The other hit in this class, though he's been a frustrating player at times, is Terrance Williams. Yes, I know, you want your wide receivers to go for 1,000 yards and double-digit touchdowns, but if you have that expectation of a third round wide receiver in a run-first offense playing third fiddle to Dez Bryant and Jason Witten, then you have unrealistic expectations. Williams has had consistency issues, but he's made some plays. Cowboys Playing Seahawks, they are down by 3 points in the 4th quarter with 4:55 left. It is 3rd & 20 when Tony Romo Scrambles out of a jam and throws a 22 yarder to Williams on the sideline. What a catch and obviously the Cowboys go on to win! Gavin Escobar, Joseph Randle, and JJ Wilcox were the other notable players from this draft. Randle, you know his issues. They hoped he could take the reins in 2015 after letting DeMarco Murray walk in free agency, but he couldn't keep himself out of trouble. Wilcox had his moments, but was inconsistent. His angles in pursuit and his less than stellar pass defense are just as memorable as the big hits he produced from time to time. Gavin Escobar was supposed to be the Aaron Hernandez -- on the field only -- to Jason Witten's Rob Gronkowski as the Dallas Cowboys tried to emulate the New England Patriots by becoming more of a 12-personnel team (two tight ends). Though he was a nice red zone target, he wasn't utilized by the coaching staff. It's debatable whether that's on him or on them, but one thing for sure is they didn't get the return you'd expect from a second round pick. Since he left Dallas, he's struggled to catch on with a team. 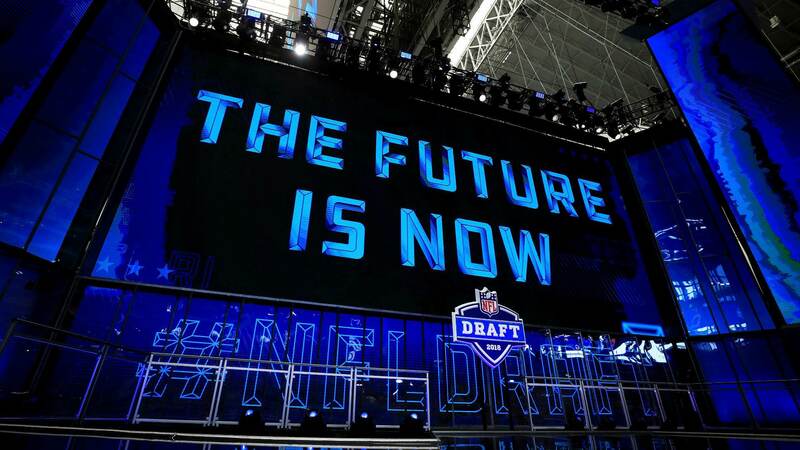 Though they selected nine players in this draft, it's notable that the Dallas Cowboys used five of those selections on seventh-round picks and used their third rounder to move up in the second to select DeMarcus Lawrence. These three are obvious to me and hopefully to you as well. Zack Martin, DeMarcus Lawrence, and Anthony Hitchens. What really needs to be said about Zack Martin is, just like Tyron Smith and Travis Frederick before him, he's been as good as gold. He's been an All-Pro player every year since entering the league and combined with Smith and Frederick to become the best offensive line in football. He's lived up to his draft billing. 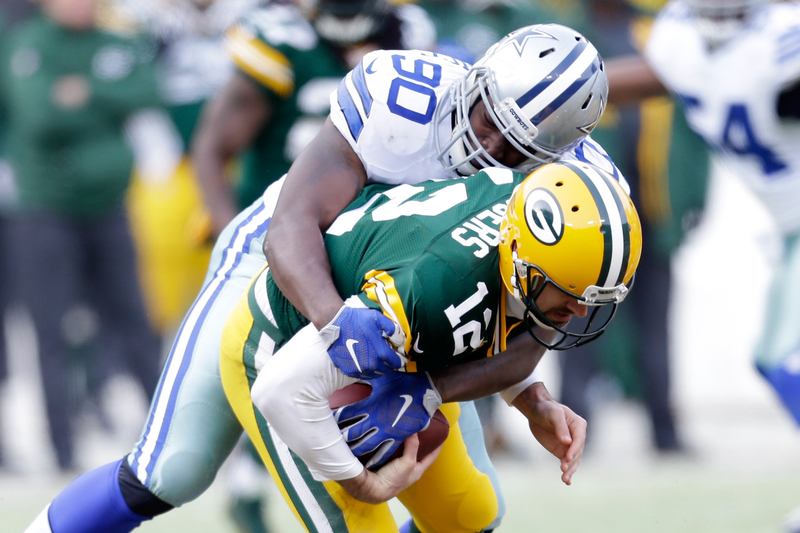 DeMarcus Lawrence, though he's struggled with injuries, has been a force at defensive end. After not registering a sack during the regular season of his rookie year, Lawrence came up big on back to back plays in the final minute of the playoff game against Detroit in 2014. In 2015 he continued to show promise in the last half of the season, recording eight sacks, but 2016 was marred by back injuries and he registered only one sack. 2017 showed what we hoped he would be, as he registered 14.5 sacks. The Dallas Cowboys gave him the franchise tag this offseason and hope to sign him to a long-term deal. Anthony Hitchens, the team's fourth round pick, struggled with injuries at times and became a vital player on the team's linebacker depth chart, especially in 2017. As mostly a part-time player for the Cowboys, he never registered fewer than 70 combined tackles when playing all 16 games. In 2017 in particular he showed his worth while Sean Lee was on the shelf and turned that into a big contract with the Kansas City Chiefs. Hitchens is what you hope for out of your fourth round and later draft selections - someone who can be a vital depth chart piece, a rotational player, and start if you need him to. While the number of hits they made looks low, if you took out the seventh rounders, who typically have a hard time making a roster, then the hit rate goes up to 75%. Pretty good. This wasn't a great draft for the Dallas Cowboys as they've received zilch from their second and third round picks, Randy Gregory and Chaz Green. You know Randy Gregory's issues by now and hopefully the man is getting his life together and is in a good place. Anything from him on the football field at this point is gravy. Chaz Green nearly got Dak Prescott killed during the Atlanta Falcons game in 2017. His inability to block Adrian Clayborn was the low-light of that season. There's a good chance he's off the roster when preseason cut down day approaches. Where they did hit was on Byron Jones, though they've not done him any favors by switching him back and forth between safety and corner. He hasn't been a superstar like the first rounders before him, but as the 28th overall pick, he's been good. He's been a lock down cover player on opposing tight ends and has made it difficult for teams to take the top off the Dallas Cowboys defense with his length and athleticism. Being moved back to cornerback, I think we are about to see the best version of Byron Jones yet. Damien Wilson, though a frustrating player at times, has been a steadfast presence as the SAM linebacker and on special teams. A former fourth round pick who doesn't play a lot, Wilson has become a solid edge-setting presence on running downs. Again, not spectacular, but when you ask him to defend the run, he's been really good. The final hit from this class is tight end Geoff Swaim. Yes, he hasn't made much of an impact, but he's done enough to make the roster and has nine catches for 95 yards in his career. Like Hanna, when you play behind the greatest tight end to ever play the game, you aren't getting a lot of opportunities to showcase your receiving ability. He's been steady in the run game and the team likes him as a depth tight end piece. Let me preface this by saying, we still need more information to truly determine whether a player has been a hit for a team or not. So, we will review this again next year. That being said, I think they knocked the ball out of the park with this class. The biggest hits so far are obviously Dak Prescott and Ezekiel Elliott. What they did in their rookie years, going 13-3, Elliott leading the league in rushing, Prescott being in MVP conversations, is hard to top for first-year production. Dak is in a bit of a prove it year, though, after the second half of his 2017 season fell flat. I still believe he's the future of this franchise and will lead them to the promised land, but he has to prove it. Elliott's only issue was the railroading provided by Roger Goodell and the NFL's league office. When he's on the field, he's an electric and physical presence that has shown an ability to take the ball for a score every time he touches it. Maliek Collins had an excellent rookie year as the 3T defensive tackle, recording six sacks and providing consistent pressure down the stretch. In his second year, he played out of position as the 1T and wasn't bad, but sacks are a little less likely when getting double teamed every play. Anthony Brown, selected in sixth round, has been a really good player for the Dallas Cowboys. In 2016 when injuries to Orlando Scandrick and Morris Claiborne forced him into action, he played really well and gave the front office confidence that they could move on from Brandon Carr and Claiborne that offseason. He had a down start to the year in 2017, but rebounded in the second half and was a solid depth piece for the team. As the Cowboys fourth cornerback and hopefully operating mostly out of the slot, he can be a really good player for Dallas. Kavon Frazier has shown flashes of being a physical presence in the secondary for the Dallas Cowboys defense. Another sixth round pick, he'll get the chance to expand his role this season under new defensive backs coach Kris Richard. As the tone setter in the secondary, he's already become a valuable piece to Rod Marinelli's defense. The verdict is still out on Jaylon Smith, only because of his draft position, but with a solid 2018 campaign, we could move him into the hit column. Health will be key for Smith, and it appears there is good news on that front. Rico Gathers and Charles Tapper haven't really had a chance to showcase what they could be because of injuries, but if they can get on the roster and contribute, then there's a good chance this turns into a 100% hit rate class. Both Tapper and Gathers have the potential to be good depth for the Dallas Cowboys. Like 2016, we still need more information to fully assess these players as hits, but the early returns are very promising for players like Chidobe Awuzie, Jourdan Lewis, Ryan Switzer -- as a returner -- and Xavier Woods. Taco Charlton showed something in the last half of the 2017 season to be hopeful about his 2018 prospects. However, he needs to become more than just a rotational player for his selection to be viewed as a hit. The team thought enough of Noah Brown at the end of training camp in 2017 to keep six wide receivers on the roster. He didn't get many opportunities to play, but has some potential to be a solid fourth or fifth receiver for the Dallas Cowboys. They currently have a bit of a log-jam on the WR depth chart, but given opportunities, he has the athleticism and hands to be an effective player in the NFL. Marquez White is still a bit of an unknown with being relegated to the practice squad in 2017, but he'll have a shot to earn the fifth cornerback spot in training camp. So, only factoring in the draft classes from 2011-2016, giving the 2017 class a bit more time to marinate, Jason Garrett has led the Dallas Cowboys to a hit rate of 38.8% on 49 players drafted. If you take out the tremendous success of the 2016 class you're looking at a hit rate of 35.9%. The rate could go down if players from the 2016 class don't maintain their current trajectory, or if Byron Jones takes a step back in his move to cornerback. But it still has a chance to go up depending on what Jaylon Smith and Randy Gregory do this year. On average, this team adds about three players per draft class who end up making contributions to the team relative to their draft position. 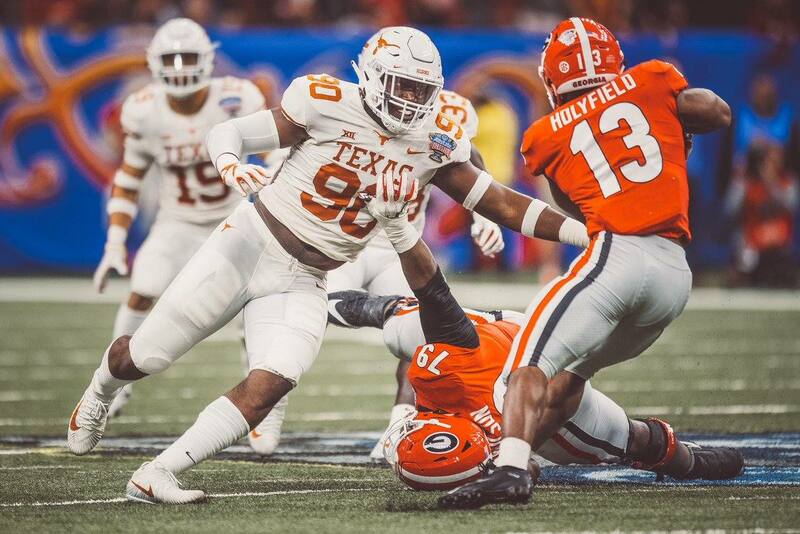 The Dallas Cowboys have gotten pretty good at this over the last several years and have a great chance to make several more key additions to the roster in the 2018 NFL Draft. This doesn't even include the contributions made by undrafted free agents like Cole Beasley, La'el Collins, Dan Bailey, Chris Jones, Cooper Rush, and Jeff Heath. Though we may feel one way or the other about the group of players that gets selected this weekend, only time will tell if the team hit on them or not. What we do know is that three or four players from this weekend's draft class will make contributions.